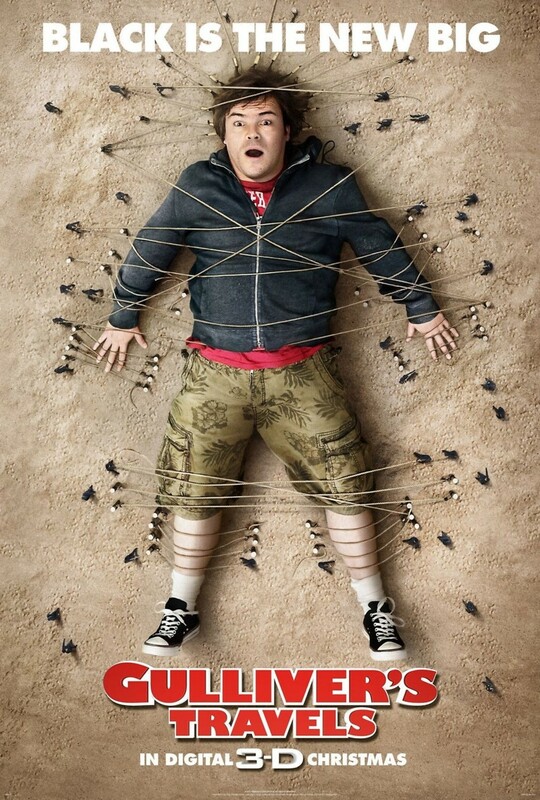 Gulliver's Travels DVD and Blu-ray release date was set for April 19, 2011. Gulliver is a kid in a man's body. Working in a mailroom, he wants to climb the corporate ladder, but lacks the real motivation to educate himself and work hard. After plagiarizing an article to impress a female executive, Gulliver finds himself off to the Bermuda Triangle to report on local weather events. Mirroring his work ethic back home, Gulliver falls asleep as he navigates a small boat into the Bermuda Triangle. Heading into an unusual storm, Gulliver lands on an island of tiny people, called Lilliput. Heralded as a beast, the island people tie Gulliver up. Because he is on assignment from his work, Gulliver tries to free himself to return home. Through several events, Gulliver comes to care for the people of Lilliput as he starts to learn about himself.